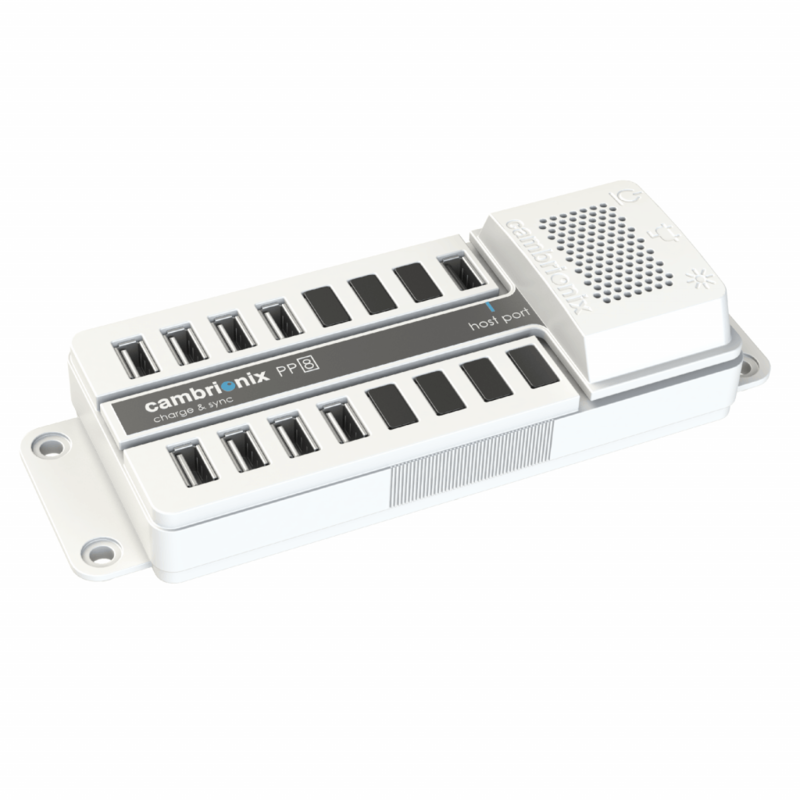 8 port universal USB sync and charge device. 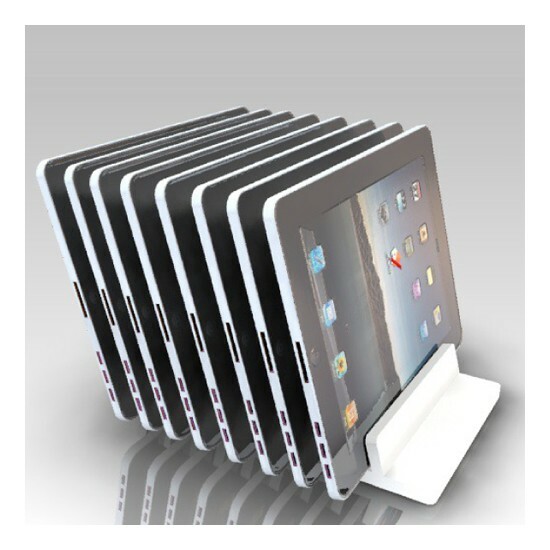 Sync and charge up to 8 iPads & iPad minis or any other tablet or USB chargeable device, simultaneously. Connection to a host computer, allowing the user to sync and charge up to 8 devices simultaneously. The PP8S is future proofed with updatable firmware administered through the host computer port. Simply connect to the website for free updates for new devices as they are released. 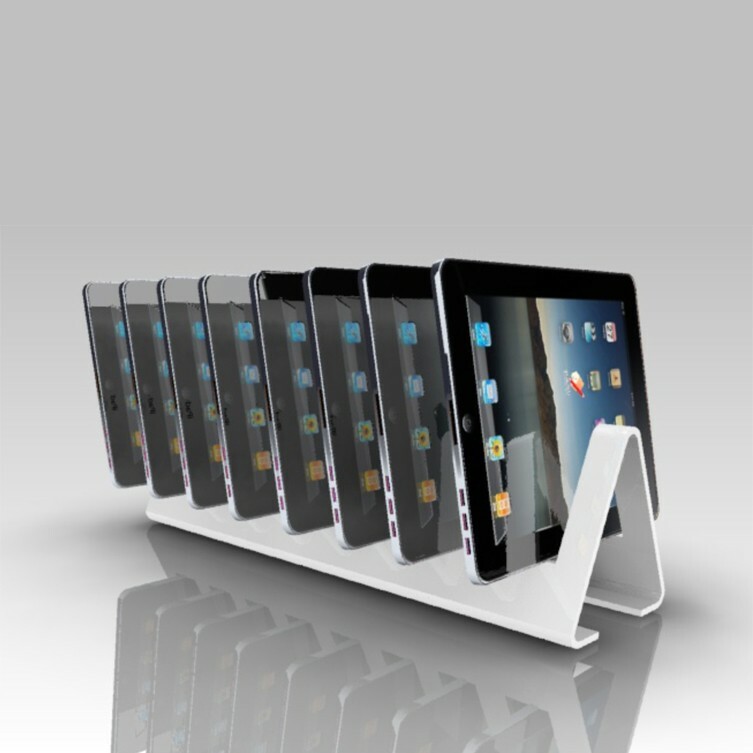 Charges up to 8 iPads, iPods or iPhones simultaneously up to 2.1A per port. 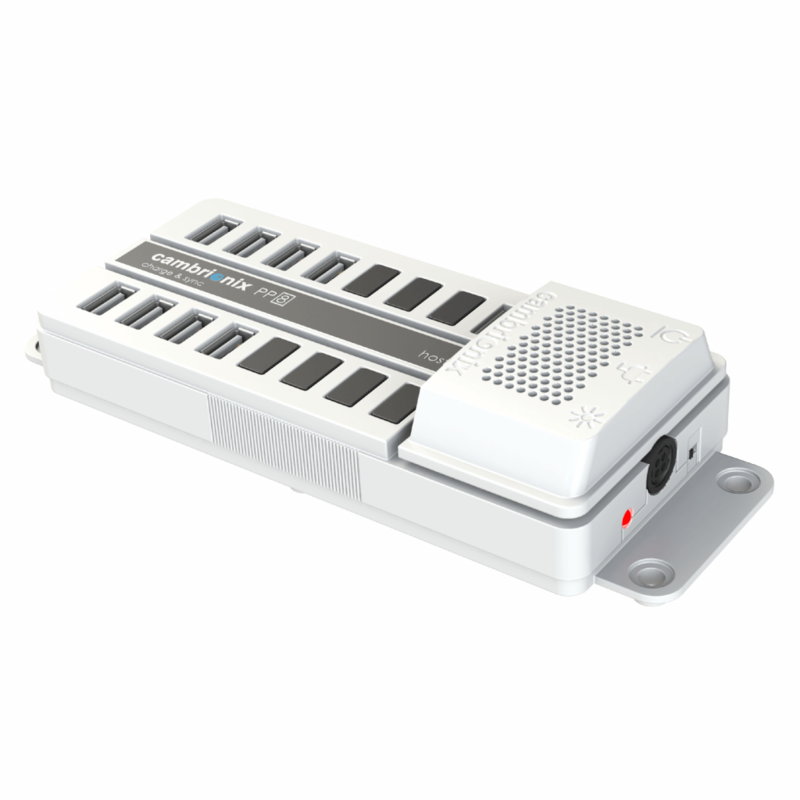 Powers up to 8 Raspberry Pi or tablets for classroom use. Number of Ports: 8 Ports. If so the PowerPad 8S from Cambrionix is about to change your working life for the better. Whatever the reason using the PowerPad 8S will provide you with state-of-the-art USB technology that is compatible with every manufacturer model. The PowerPad 8S is light weight and can be mounted with screw fittings and comes complete with transformer.